Red Kites in Britain used to be confined to mid-Wales. There were just a couple of dozen birds left when I was a child, and the chances of seeing one was virtually nil. In Elizabethan times, it was common to see Red Kites all over Britain. They were even seen in towns and cities where they scavenged for food in the streets, and helped to keep them clean. Systematic persecution, however, reduced their number to just a handful by the early twentieth century, and their future survival hung in the balance right until the final decade. Now it's possible to see Red Kites almost anywhere. In some parts, it's a daily occurrence. The Red Kite is a medium large bird of prey. It is extraordinarily graceful and beautiful to watch as it flies low over the countryside searching for food. Unlike many birds of prey, the Red Kite doesn’t seem to be especially deterred by human activity. In fact, I’ve even heard people comment that they’re been followed by a Red Kite. I’m not sure if that’s completely true, but they don’t seem to be particularly shy. Twenty years ago, I’d never seen a Red Kite before. As far as I was aware, you needed to go to a remote part of mid-Wales to stand any chance of seeing one. Even then, you’d be extremely lucky if you did as their numbers were in the twenties or thirties. 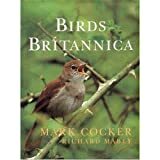 Then one day, I was driving along the M40 motorway in Oxfordshire when I saw a large bird. I knew what it was, I’d seen pictures. I just couldn’t allow myself to accept that it was a Red Kite. How could it be? Those were the days before the Internet had come into the lives of most of us, so I put it to the back of my mind until the next time I was driving that way. Eventually, I read a newspaper article and that explained everything. There had been a reintroduction project, with birds being brought from Sweden and Spain to the Chilterns in England. I hadn’t been imagining it after all. Since that time, reintroduction projects all over England, Scotland and Ireland have been put in place. The first reintroduction has been so successful, birds from the Chilterns are now used to supply birds for new populations elsewhere. The native Welsh population has also been booming since mixing with reintroduced birds. Where Can I See Red Kites in Britain? Before long, seeing a Red Kite could be an almost daily occurrence for people in most parts of Britain. They’ve been seen just about everywhere but, across most of the country, they’re a fairly unusual sight. In the East of England for example, you can sometimes see young birds as they wander around in the first couple of years. The best areas to see Red Kites are around the population strongholds and these include mid-Wales; Oxfordshire and Buckinghamshire; Northamptonshire; Yorkshire; northeast England including Northumberland, Newcastle and Cumbria; parts of Scotland including Dumfries and Galloway, Stirlingshire, West Perthshire, the Black Isle and around the city of Aberdeen. 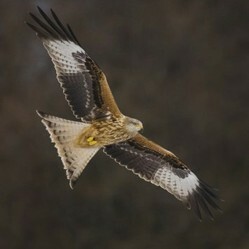 It’s also possible to see Red Kites in Northern Ireland. Detailed information from the RSPB (Royal Society for the Protection of Birds) Bird Guide. That's a really good idea, I'll have a look. The White-tailed Eagle, sometimes known as the Sea Eagle, is a close relative of the American Bald Eagle. They were once absent from Britain's skies, but now they're back.